Drinking full-fat milk could lead to a longer life by protecting against strokes, scientists have suggested. 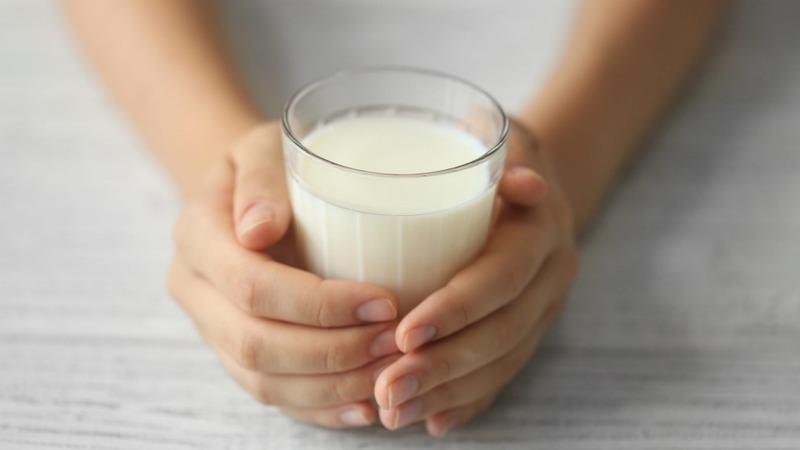 While conventional diet advice has for decades dictated that skimmed and semi-skimmed milk is much healthier for us than full-fat milk, a study suggests that the opposite may be true. Researchers found no significant link between dairy fats and heart disease and stroke, two of the biggest killers associated with a diet high in saturated fat. In fact, certain types of dairy fat might actually help guard against having a severe stroke, researchers reported. It will be welcome news to people who prefer full-fat varieties of milk, butter, cheese and yoghurt to those with lower quantities of fat. Professor Marcia Otto, of the University of Texas, who led the study, said: "Our findings not only support but also significantly strengthen the growing body of evidence which suggests that dairy fat, contrary to popular belief, does not increase risk of heart disease or overall mortality in older adults. "In addition to not contributing to death, the results suggest that one fatty acid present in dairy may lower risk of death from cardiovascular disease, particularly from stroke." The study evaluated how multiple biomarkers of fatty acid present in dairy fat related to heart disease and mortality over a 22-year period. The method, as opposed to the more commonly used self-reported consumption, gave greater and more objective insight into the impact of long-term exposure to these fatty acids, according to the report. Nearly 3,000 men and women aged 65 and older were included in the study, which measured blood levels of three different fatty acids found in dairy products in 1992, and again six and 13 years later. None of the fatty acid types were significantly associated with total mortality and one type was linked to lower cardiovascular disease deaths. People with higher fatty acid levels, suggesting a higher consumption of whole-fat dairy products, had a 42 per cent lower risk of dying from a stroke. While health experts often recommend a diet rich in fat-free or low-fat dairy, including milk, cheese and yoghurt, the researchers said that low-fat dairy foods such as chocolate milk and low-calorie yoghurt often include high amounts of added sugars which may lead to poor heart health. Health officials warned that a single pot of yoghurt can contain the entirety of a child's daily sugar allowance earlier this year after a number of major brands were found by Public Health Liverpool to contain the equivalent of almost five sugar cubes. Clarissa Lenherr, a registered nutritionist, pointed out that by stripping fat out of dairy products, the food is not as filling and vitamins are lost. She said: "The fat in dairy products is what makes them satiating, and by stripping dairy products of their fat, you are also reducing the amount of Vitamin A and D that they contain. Both are crucial vitamins and both are fat-soluble, which means that they need fat to be absorbed. "So even when you choose low-fat dairy products that have been fortified with these vitamins, you may not even be absorbing them, due to the fact that the product has little fat left in it." Professor Otto added that whole-fat dairy products are rich sources of nutrients including calcium and potassium. She said: "Our results highlight the need to revisit current dietary guidance on whole fat dairy foods, which are rich sources of nutrients such as calcium and potassium. "These are essential for health, not only during childhood but throughout life, particularly also in later years when undernourishment and conditions like osteoporosis are more common." Are you cooking with the right oil?